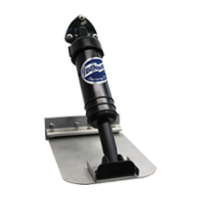 Interacting directly with your hydraulic trim tab system, the Auto Tab Control (ATC) automatically monitors your boat’s position and maintains the perfect cruising attitude. 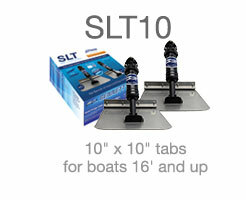 All you do is set the optimum running attitude for your boat (zero point) and save it into memory. The ATC calibrates and analyzes the attitude readings more than a thousand times per second and adjusts the tabs automatically for you. 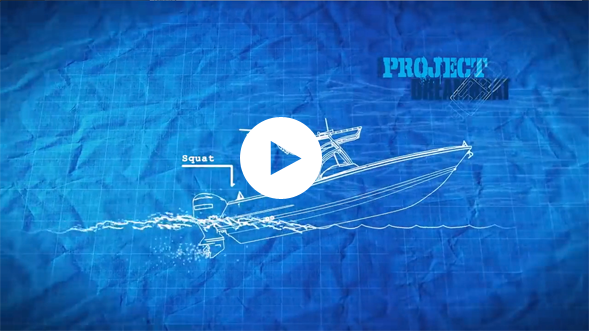 It’s a smart, yet simple system that recreates the programmed attitude, regardless of changes in speed, weight distribution, or sea conditions. 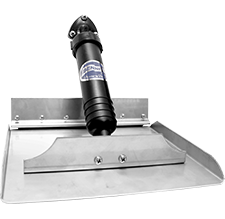 The ATC is also ideal for cruising at constant speeds over long distances – those times when you want to relax and not worry about adjusting your trim tabs. 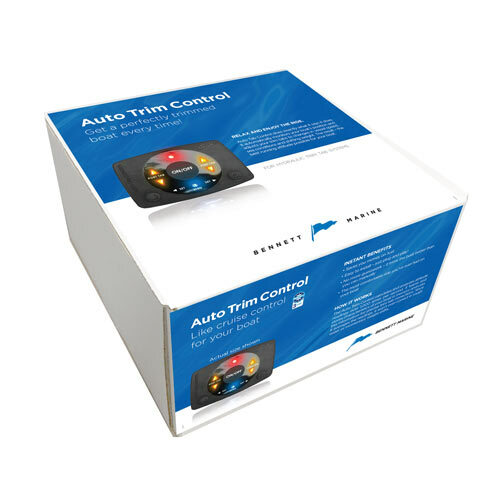 Easy to install–Just plug and play! Saves you money on fuel. 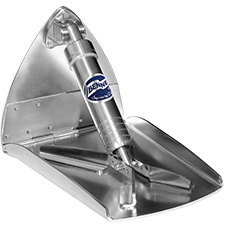 A properly trimmed boat can significantly lower fuel costs in a single season of usage. 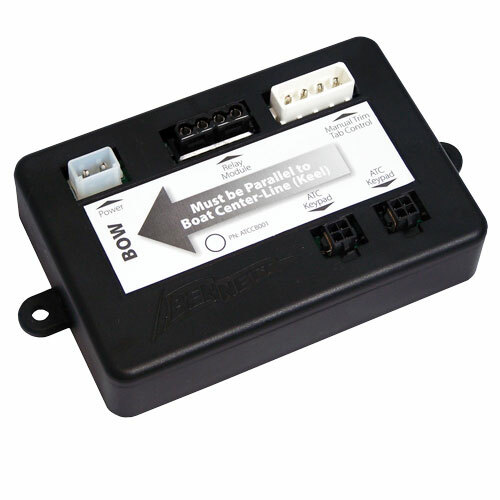 Easy to install – just plug and play! Very few tools are needed for installation, and everything plugs right into the ATC Control Unit. 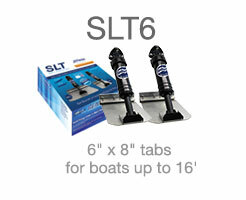 No more guesswork – it trims the boat better than you can. 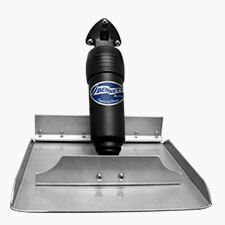 Calculating more than a thousand attitude readings per second, the ATC adjusts your trim tabs to changes in vessel speed, sea conditions and shifting weight. The most comfortable ride you’ve ever had on your boat. 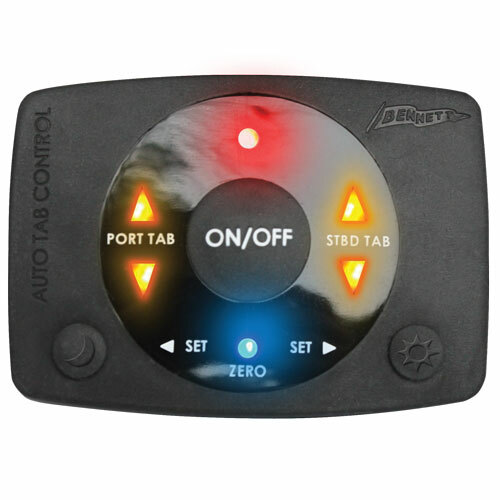 Maintain the best cruising attitude without the need to constantly work manual trim controls. 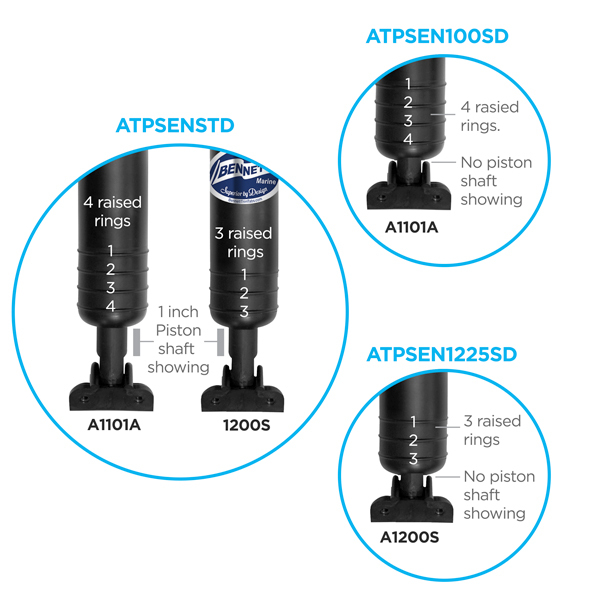 Click here for a complete list of ATC kits and replacement parts.